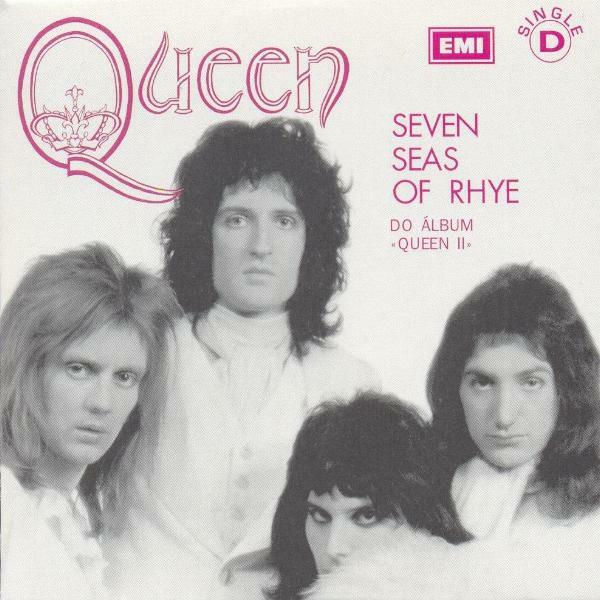 Queen – Seven Seas Of Rhye. Publicat pe 22 mai 2015	de Cristi M.
After the band’s six-night stand at New York’s Uris Theatre in May 1974, Brian May collapsed and was diagnosed as having hepatitis.While recuperating, May was initially absent when the band started work on their third album, but he returned midway through the recording process. Released in 1974, Sheer Heart Attack reached number two in the United Kingdom, sold well throughout Europe, and went gold in the United States.It gave the band their first real experience of international success, and was a hit on both sides of the Atlantic. The album experimented with a variety of musical genres, including British music hall, heavy metal, ballads, ragtime, and Caribbean. At this point, Queen started to move away from the progressive tendencies of their first two releases into a more radio-friendly, song-orientated style.Sheer Heart Attack introduced new sound and melody patterns that would be refined on their next album, A Night at the Opera.